The News Channel 8 Investigators are Tampa Bay's most recognized and honored I-team. They are "On Your Side" each and every day to bring a voice to the voiceless and hold the powerful accountable. Steve Andrews is 8 On Your Side's Senior Investigative Reporter, breaking major stories and uncovering corporate and government corruption, and fighting for the rights of innocent people and deserving veterans. Investigator Mark Douglas has been a broadcast journalist for more than 35 years in Tampa Bay. Mark has broken big cases, and worked investigations exposing prostitution rings, corrupt contractors, and revealing negligence in the child welfare system. Shannon Behnken specializes in consumer fraud, investigating shady business practices, real estate ripoffs, and organized scams. Shannon's work is results-driven and aims to bring individuals resolution and satisfaction. More questions are being raised about the medical care animals are receiving at Hillsborough County's tax-funded Pet Resource Center. HILLSBOROUGH COUNTY, Fla. (WFLA) - Did veterinarians at the Hillsborough County Pet Resource Center drop the ball when they didn't examine a 10-year-old boxer-mix named Clyde? There are questions surrounding the quality of veterinary care animals receive at the Hillsborough County Pet Resouce Center. County officials are working to find out who cut a hole in Belcher Road, near Gulf-to-Bay Boulevard. County employees quickly fixed the hole after Germano pointed it out. But as far as fixing her car goes , she's been bounced back and forth from between Pinellas County and Clearwater. As Neil Eckelberger struggles to recover from an injury suffered on the job 19 months ago, he finds himself in a desperate legal fight with his employer's workers comp carrier, Travelers, for medical care and benefits. It may be an historic architectural gem but people working at "Old" City Hall in Tampa are getting sick. Carol Ann Licata found herself locked out of her bank accounts in January and says her financial life has been a diaster. Could a proposed Florida bill restrict your rights? In recent years, Florida voters have legalized medical marijuana and restored voting rights to felons but could that power change? 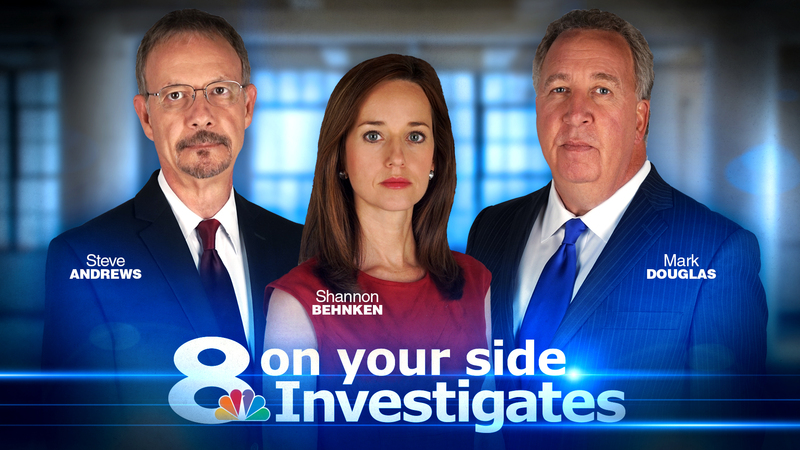 8 On Your Side investigates whether a proposed Florida bill would restrict your rights.